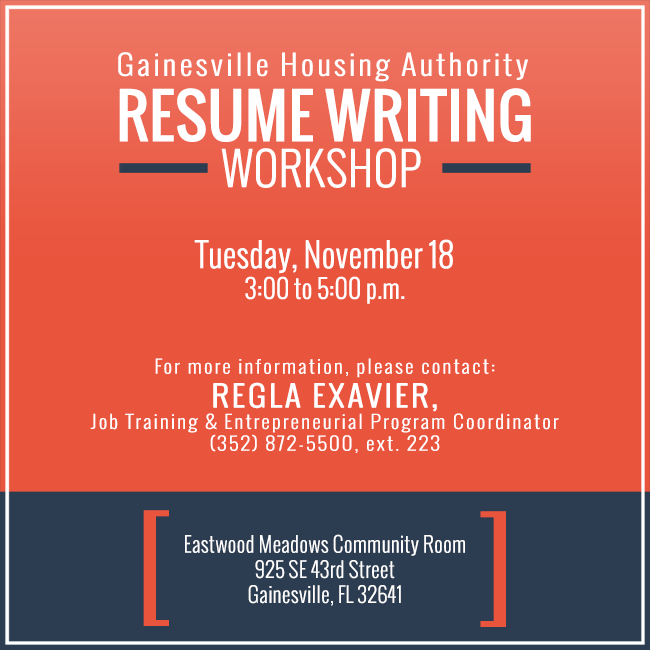 GHA’s Job Training & Entrepreneurial Program (JTEP) is hosting a resume writing workshop on Tuesday, November 18. For more information or to RSVP, please contact JTEP coordinator Regla Exavier at (352) 872-5500, ext. 223.